Unnecessary vehicle idling contributes to health risks, pollution, and harms the environment. Your town or city can be part of the solution. 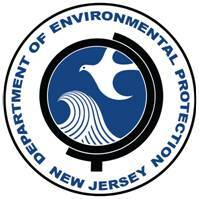 The New Jersey Department of Environmental Protection has designed a program titled “Idling is Everybody’s Business” to be implemented by any town, business, or school. Get your family, friends, neighbors, schools, and other civic groups involved and informed! 2. ASK YOUR TOWN TO ADOPT THE No Idling Resolution for Municipalities in New Jersey. 3. REPORT VEHICLES IDLING FOR MORE THAN 3 MINUTES TO YOUR LOCAL POLICE DEPARTMENT OR CALL (877) WARN DEP or (877) 927-6337. If you have any questions, send your question to stopthesoot@listserv.state.nj.us or call the Diesel Risk Reduction Program at (609) 292-7953. Thank you for helping us help the environment!